"Without yarn, life would be a mistake." At the Yarn Garden there is so much to learn and explore. With the homey & family-friendly type atmosphere the Yarn Garden has, you could get lost in the wonderful world of yarns and never want to leave. From the beautiful colors & various textures of yarn to the needles, books, patterns, knit-n-chats and so much more—the experience you get from the moment you walk in the door is life changing. 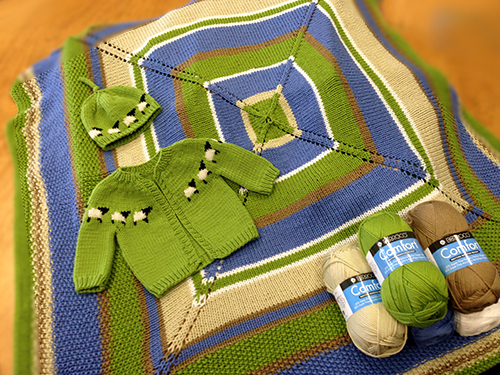 Come on in and see what the Yarn Garden has to offer, we promise you will leave with a smile on your face! Merry Christmas & Happy Holidays from The Yarn Garden Knit Shop Family to YOURS!! We will be closed December 24th & 25th for Christmas…. as well as December 31st & January 1st, to bring in the new year! We will be having special sales after Christmas and heading on into the new year. Do not forget to stop by and check it out! Meet other people who love fibers and expand your skills at the same time! 10% off your first purchase when you mention this website at the time of purchase. Yarn Garden Knit Shop is a locally owned and operated business with more than 70 years' knitting experience among the staff. We take pride in providing you with personalized service, a great selection of beautiful quality yarns and a wide variety of supplies to choose from.